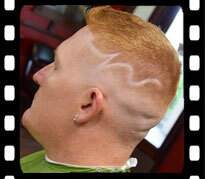 Reel Clips Barber Shop – "A Whole New Barber Shop Experience!" There is something to say about the old fashioned Barber Shop that has persevered the test of time. 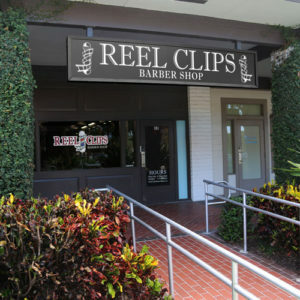 Reel Clips Barber Shop brings to you those old sacred traditions in a modern setting guaranteed to give you an experience to remember. Co-founders, Adrian Mitchell & Abe Dababneh, put together the two things they were both passionate about to come up with a whole new Barber Shop experience. Adrian has been a certified barber for over ten years. He has honed his skills in many different men’s hairstyles and developed a proprietary shaving process guaranteed to give you the closest and smoothest shave ever. 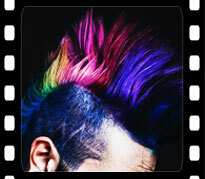 From Getting The Grey Out To Wild & Outrageous Color Designs. Our Proprietary 3 Step Hot Towel Straight Razor Shave. Designs, Fades, Pretty Much Anything You Can Dream Up, We Can Bring To Life! Cuts, Eyebrows, Beard & Mustache Trims, Basic Cleanup, & More. Proudly powered by WordPress © 2017 ReelClipsBarberShop.com. All Rights Reserved.